Work in a one-on-one setting. Set to your schedule and desired frequency. No wasted time equals maximum results. Higher exertion and higher intensity. Corrections on form and technique reduce risks. Learn what exercises are most effective for you. Work with your unique limitations and abilities. Establish a healthier self image. Variety will ensure continued progress. Will help you set realistic & attainable goals. Keep you accountable and on track. Your Private Personal Trainer will work with you to establish goals that you can and will achieve. Work around your schedule, getting the most out of every minute. You will also get the maximum benefits while your trainer encourages you to put out maximum effort. Learn proper form and technique while working on a custom progressive challenging program designed just for you! This is perfect for people with similar fitness levels and goals who wish to receive the benefits of Personal Training. You all will get the same level of custom designed programming, with the added benefit of accountability and encouragement from those in your group. This is also a very cost efficient option, as the price of training is split among the group members. We have had great success with our online programming. You can still reap the benefits of our hybrid training style even if you are not here in our gym. Online training is set up the same way as personal training, with your coach working with you to set up realistic and attainable goals. Your coach will then design your progressive weekly programming options. Online coaching includes coaching meetings, check-ins, accountability, progress photos, and nutrition overviews. Everyone from entry level to experienced athletes can benefit from sports specific training. Let us help you improve in your sport. Get Faster. Stronger. More Agile. We will dial in a custom program package designed to take you to the next level in your sport of choice. Even if you are wanting to improve your CFT score, we will get you there. What ever your sports goals, our sports specific training will help you smash them! Similar to our Sports Specific Training, this programming option is tailor made for student athletes from any sport. We work with younger athletes as well as those who are actively seeking scholarship opportunities. We do off-season training packages as well as complementary training during the sports season. Specific attention to injury prevention and recovery is applied when we are working with our student athletes. This is the best way for you student athlete to tap into their full potential! 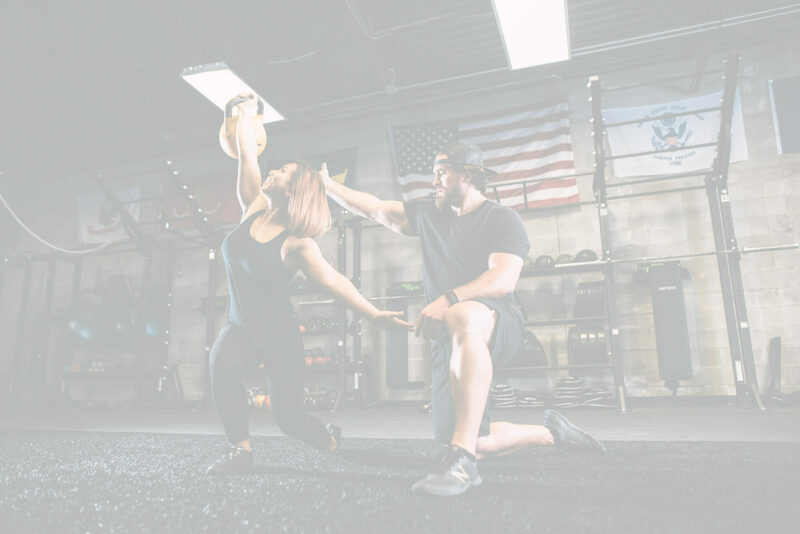 We have experienced coaches at Iron Forged Fitness who have specific experience in Figure, Bodybuilding and Physique Competition Prep in addition to Powerlifting and Olympic Lifting. We have Competition Prep Programs available in all these modalities. Is a Personal Trainer what you need? Ready to set & achieve goals? Check! There is no time like the present to redefine your future. A personal trainer will help you define your individual fitness goals and will create a realisticroadmap to get you there. They take into account your current fitness level and discuss what you ultimately want to achieve. Your personal trainer will help you focus on smaller goals that are specific and realistic; they’re more attainable, setting you up for success to achieve your larger, long-term goals. Your personal trainer also helps assess your progress toward those goals and can hold you accountable. Personal trainers create a specific workout plan just for you based on the goals you want to achieve. This isn’t a one-size-fits-all workout routine you’d find in a book or magazine. Your personalized plan is tailored to your goals, needs, and allowances for your current physical condition and medical background. He can make accommodations to the program if you have an injury, bad back or knees. Could use the Instruction? Check! A professional trainer teaches you the proper way to perform each exercise movement in your routine. They demonstrates the movement, coaches you through it, and corrects any issues with your posture or technique. Learning how to perform exercises properly reduces your risk of injury and increases the movement’s efficacy. When you can perform a move the right way, it increases the likelihood that you’ll do it on your own at home or at the gym after your training sessions.